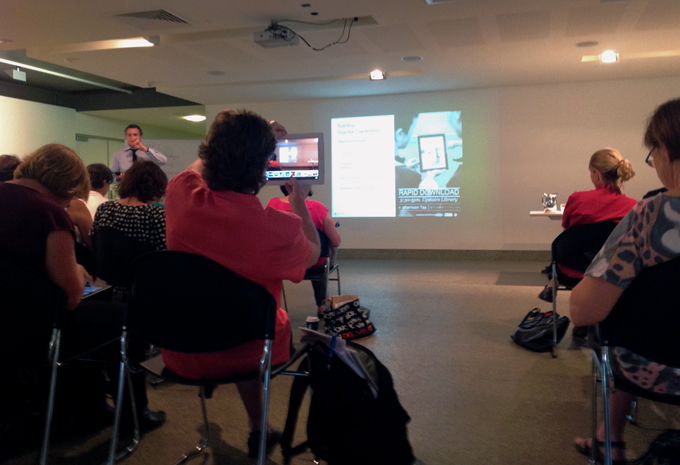 Over the last two weeks we have attended free Apple iPad lectures and demonstrations at the State Library of Queensland. Offered as part of their Digital Skills workshops the SLQ run them in partnership with presenters from the Apple Distinguished Educators program. Whilst I’ve been around classrooms in the higher education area for most of my life, I now see an edu-game changing revolution emerging, based on opportunities provided by emergent digital technologies–most significantly the Apple iPad. Once we sat in front of desktop screens and towers enslaved by the size and weight of the technology. This scenario morphed into a mini, almost-mobile laptop phase where function and use usually mimicked its larger desktop brother. Now small portable tablets, in particular iPads, are replacing the computer behemoths of the past, and seem to be filling gaps in technology, social and human behaviour, centred on education. It’s not just the iPad that’s made this possible, as it is merely the machine that acts a stage for the action. 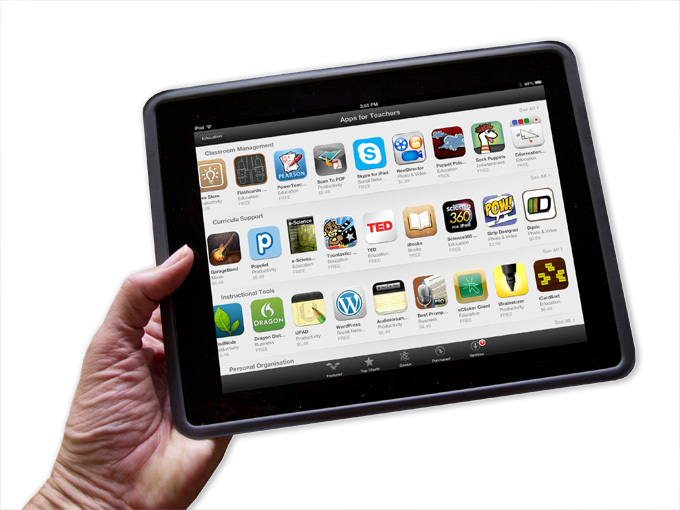 Everything about accessibility and functionality with the iPad ultimately comes down to apps. While we are familiar with conventional computer software and the near monopoly on applications for purpose, and their attached expense, apps are often free or modestly priced from $2~$10. And there are literally 1,000s and 1,000s of them, essentially an app for whatever you may want to do. This is why the iPad has such an intoxicating effect in the education interface of student and, perhaps also, those who teach. There are other considerations. The realm of education is essentially a place of youth, they want to subvert existing paradigms and most importantly they want to play games. The now ubiquitous iPad has transformed the learning space from chalk ‘n’ talk, and cursor ‘n’ mouse, into a gamified experience. Gamification, as Wikipaedia suggests, ‘is the use of game-thinking and game mechanics in a non-game context in order to engage users and solve problems.’ The iPad provides a rich ‘game-like’ experience for users and much like a Trojan horse, it acts as the ‘hidden’ carrier of a teaching strategy for knowledge, skill acquisition, problem solving, creative expression and communication. Finally we teachers have found out that we can let kids have fun in the classroom. SLQ’s Digital Skills workshop series is presented in partnership with Apple Distinguished Educators.